Sophie Littlefield is GOOD. I can't believe I hadn't heard of her before! I got Book #3 of the Aftertime Trilogy as an ARC and figured I'd try it out because, come on, who doesn't love a good zombie novel? Aftertime's another post-apocalyptic novel - an unexpected Bioterrorist attack on the United States has led to an epidemic which causes humans to turn into cannibals with almost no brain function called Beaters (something like flesh eating zombies). Cass is our main girl in this story, she's had a tough life and if that wasn't enough, she wakes up during the apocalypse in the middle of no where with no memory of what happened to her and chunks of flesh missing from her body. To make matters worse, last thing she remembers is her daughter being rescued from a bunch of beaters who got to Cass. Now Cass is on a mission - to rescue her daughter Ruthie. Along the way she meets a guy named Smoke (kind of really hot!!) who accompanies on her journey. 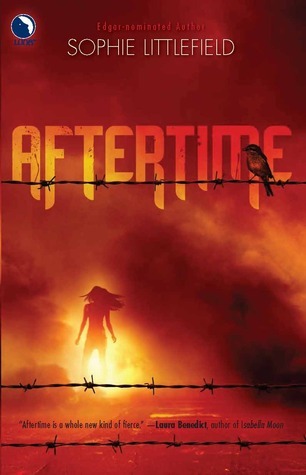 Aftertime is a bit more original than most of the post-apocalyptic/zombie novels that I've read. 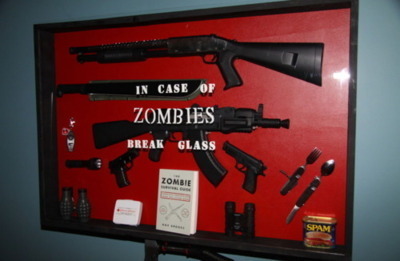 It's got all the cool elements but seems a bit more realistic. I'll admit, Cass isn't really a favorite character of mine. She's flawed but that didn't put me off. It was the fact that the book kept suggesting that she was tough, when honestly a lot of times she seemed afraid (understandable,but still),dependent and almost a little desperate. She was also pretty horny and embarrassed about being too forward, like that's something to worry about when there's flesh-zombie-like-things on your trail! But the rest of the novel, I loved! The plot pulled me in completely and parts of it also seemed highly believable, as in, something that might happen if the apocalypse occurs. This isn't exactly YA. I'd suggest it to people who are 18+. Although Cass is nothing like Remy, if you liked Amanda Hocking's Hollowland, you might like this one too. This is probably my favorite book I read in 2011. It wasn't something I'd normally pick out, it seemed too scary (it was almost too scary for me) but I am so glad I did. Loved it!! !